Most of my friends are planning for summer vacations this year. I believed everybody wants to enjoy the friendly and comfortable weather during the summer months. Why not? I always wanted the same. Last month during a friend's birthday party, I was asked by another friend if there are affordable villas in Croatia where her whole family can stay during their vacation. I told her that there are a lot and the best way to find it is to browse the internet. Surfing the internet and looking for all kinds of accommodations from hotels to apartments, holiday rentals, vacation villas, cottages, bed and breakfast, everything is possible and searchable in the net. Let me begin now with my main topic. This is about some interesting places to visit in the Tuscany region in Italy and how you can find affordable Italian villas to stay in this region. During my spring vacation last month, we visited some places in Italy while staying in a 3-star hotel in Pietra Ligure. I forgot the name of the hotel in that place but when I asked the receptionist how much they charge for a week stay in their hotel. She told me that it depends on which season of the year you are staying. She also mentioned that they have affordable villas and apartments to stay nearby. The cost per week ranges from 300-400 Euros and it is good for 5 persons. I believed it is not so expensive. If you have four friends going with you, it would probably cost you around 60 to 80 Euros in a week. This kind of accommodation for a 5-persons family is also a good offer. In addition to that, she also said that there is a kitchen in the apartment and all the utensils are also provided. I had been to Italy but never been in the Tuscany region. It is located on Italy's west coast, on the Tyrrhenian sea. Here are some of the places I wish to go next time. Siena- also spelled as Sienna. Its historic centre is included in the list of UNESCO Heritage Site and one of the most visited city in Tuscany. The Cathedral of Siena (Duomo), the Piazza del Campo, Palazzo Pubblico, are only some of its interesting sights to visit. 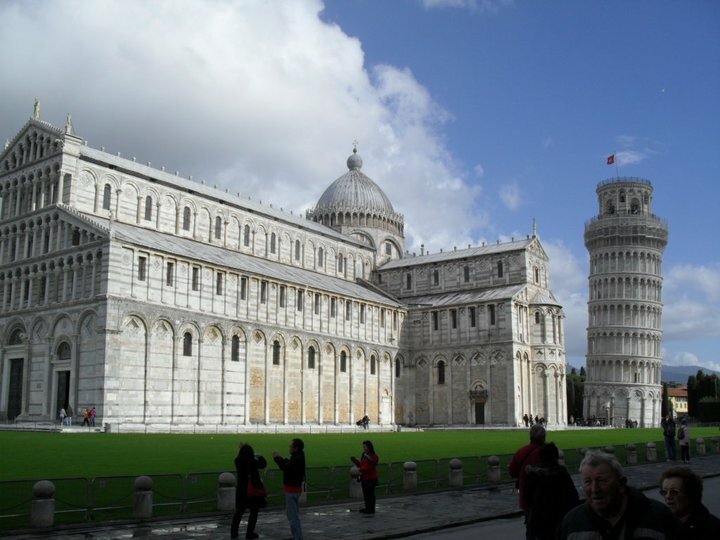 Pisa- known for its Leaning Tower but there are also a lot of beautiful sights to see like the Duomo di Pisa, (Cathedral of Pisa), Battistero (Baptistry), Piazza Garibaldi, University botanical garden and some other more. Florence- the capital region of Tuscany which is very rich in culture, arts and architecture. The Santa Maria del Fiore, Santa Croce (contains the monumental tombs of Galileo, Michelangelo and other notable people), Boboli Gardens, Piazzale Michelangelo, Uffizi museum are only some of its sights worthy to visit. Other interesting cities to visit are San Gimignano, Pienza, Lucca, Montepulciano, and Arezzo.